Barclays Premier League highlights so far | Compare odds UK, Europe, Premier League and European leagues. Leicester City’s success. The Fox’s whirlwind start to the season. 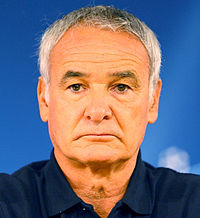 For us it is no wonder considering the gravitas of Claudio Ranieri even if he has had some recent problems managing in Europe. A list of clubs Mr Ranieri has managed in Europe is outstanding; Cagliari, Napoli, Fiorentina, Valencia, Atlhético Madrid, Parma, Juventus, Roma, Inter Milan and lastly Monaco. Recently Leicester maintained their unbeaten run with a 1:1 draw against Tottenham Hotspur. Riyad Mahrez made the score line level for Leicester in the eighty second minute, one minute after Dele Alli scored for Tottenham. Now, that’s some attacking spirit for a team that has just gone a goal down in the eighty first minute. What’s more, Leicester where outplayed in terms of the stats winning just 2 corners compared to Tottenham’s 7. Tottenham had 6 shots on target and many that missed, compared to Leicester’s 2 shots on target. The difference was that they made their chances count and look more sophisticated playing under the Italian manager. The Fox’s new signing from Napoli, Gokhan Inler, played ten minutes but will be playing a fall match soon. Other players to watch include Jamie Vardy who set up the goal for Leicester. The partnership between Mahrez and Vardy could pay dividends for Ranieri’s Leicester City FC. This one is negative, but, Chelsea being knocked off the top spot for being likely winners. Bookmakers have Chelsea as odds on favourite to win the Premier League. Our opinion was that this was far to generous for a team who performed poorly pre-season and have an injured striker (star striker), Diago Costa. Our Facebook magazine published the prediction that Chelsea would not stay favourites for very long. Compare odds now and they have increased significantly. Betfair was the perfect place to bet that they would not win the league. A lose bet made on Betfair at the start of the season could be ‘cashed out’ at any point depending how Chelsea perform now. Currently this bet would have given a big profit. Learn how to use Befair here. Manchester City’s winning streak has been a Premiership Highlight. If only because they have knocked Chelsea off the top position for likely winners. Matched only by Liverpool in 2013/14 and 2005/06, Chelsea in 2015/6, and Arsenal in 1997/98. Only 3 teams have had a longer winning streak. Chelsea won 11 games in 2008/09, Manchester United won 11 games in 2008/09 and 1999/2000. Arsenal are the kings after winning 14 games in a row in 2001-02. Man City are poised to enter the hall of fame if they continue their winning streak. What next for the Premier League? The Fox’s stewardship under Claudio Ranieri should prove to be very interesting. We will be watching the performance of our Chelsea prediction carefully compared to the club’s sparing partners, Manchester City and Arsenal. Exciting times in our opinion.